Cheesecake is one of those desserts that you can make just about any way you like it. 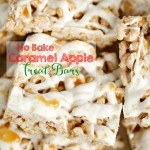 The flavor options are virtually limitless, and it’s also super easy to whip up if you go for the no-bake kind. With Judah back in school I have more time during the day to spend working and creating new recipes, so I decided to get creative and whip up a family treat to celebrate a successful first week of Judah being in kindergarten! 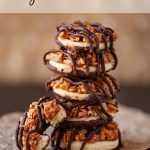 You know that I’m not one to give my kids decadent desserts, but every once in a while they deserve a special treat, so I grabbed some ingredients and started experimenting. 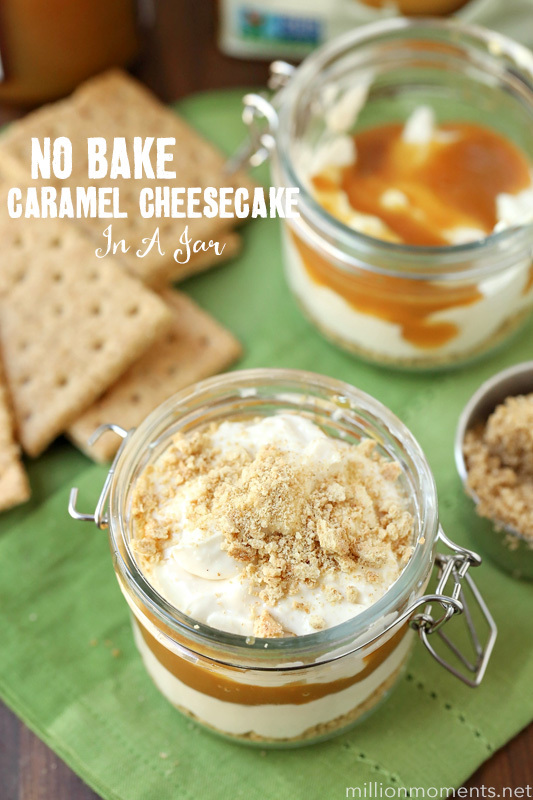 I came up with an insanely delicious, no-bake layered caramel cheesecake recipe that you eat with a spoon. 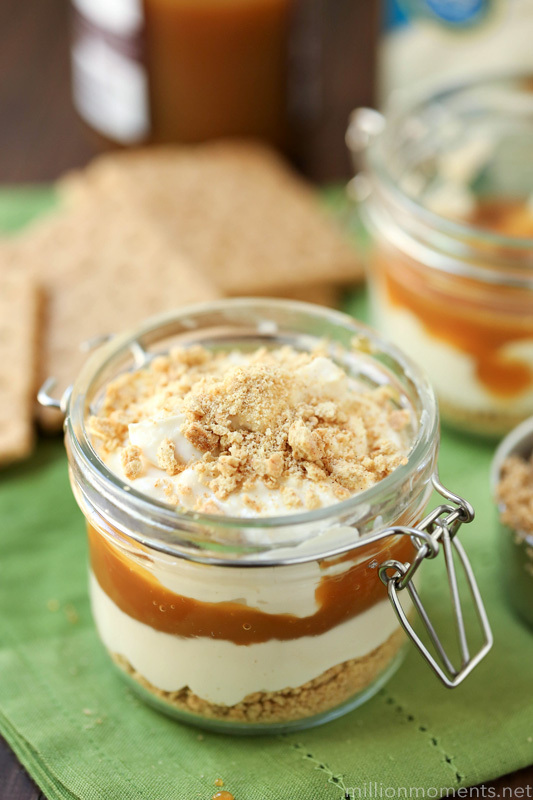 I made two of them – one for the kids and one for myself and I have to say that they are rich, creamy, nutty little jars of heaven! 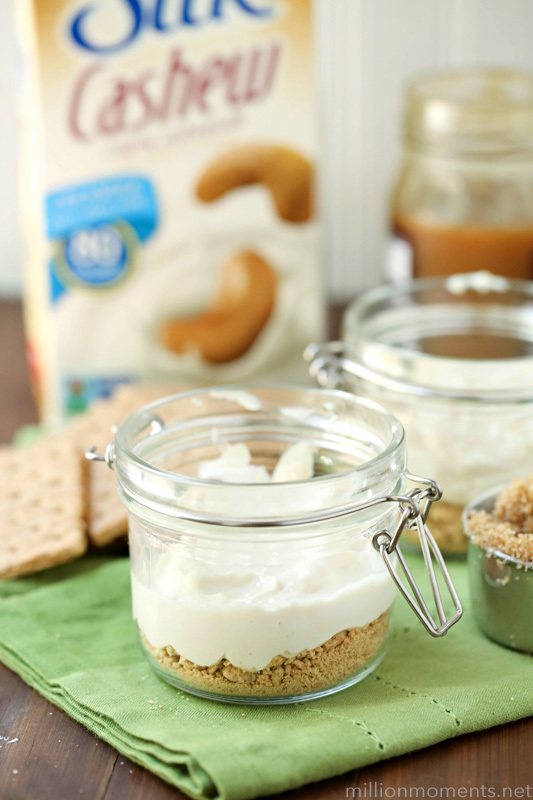 The first thing you are going to do is mix up your cheesecake, so combine the cream cheese, cashewmilk, brown sugar and vanilla extract in a blender/food processor. Mix that for at least one minute or until you have a smooth, silky texture. 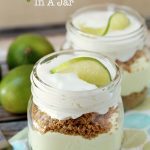 Now, there are a number of different ways to whip up a no-bake cheesecake, and in each one the specific ingredients/levels are super important to the overall taste of the finished product. 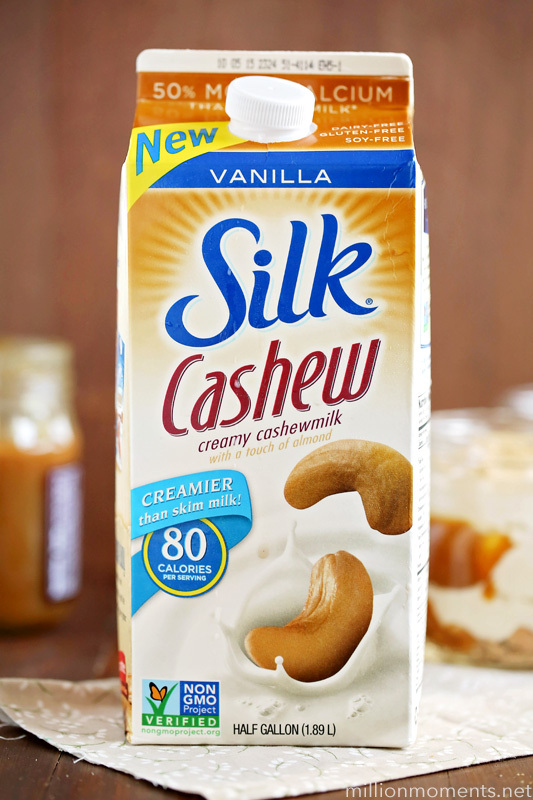 For mine, I am not a big fan of the “cream cheesy” taste, so my absolutely essential secret ingredient is Silk’s new Vanilla Cashewmilk. 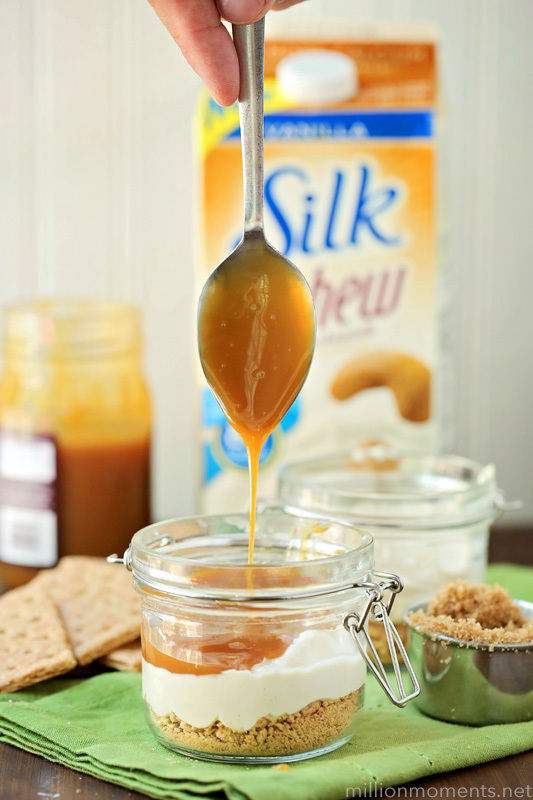 You know how much I love my Silk, and this Cashew milk adds a creamy, nutty flavor to my cheesecake that regular dairy milk can’t even touch. And it’s irresistably creamy with less calories and sugar than low fat dairy milk too, so there’s that. If you want to change things up, you can swap out the vanilla for their chocolate cashew milk – it’s just as delicious, but I’m loving the vanilla for this recipe. 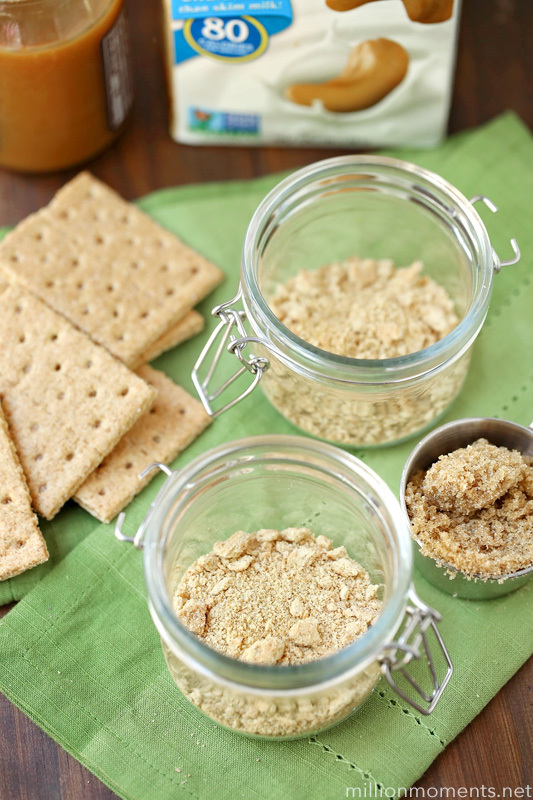 Your next step is to crush up your graham crackers and then pour them in the bottom of your jar. 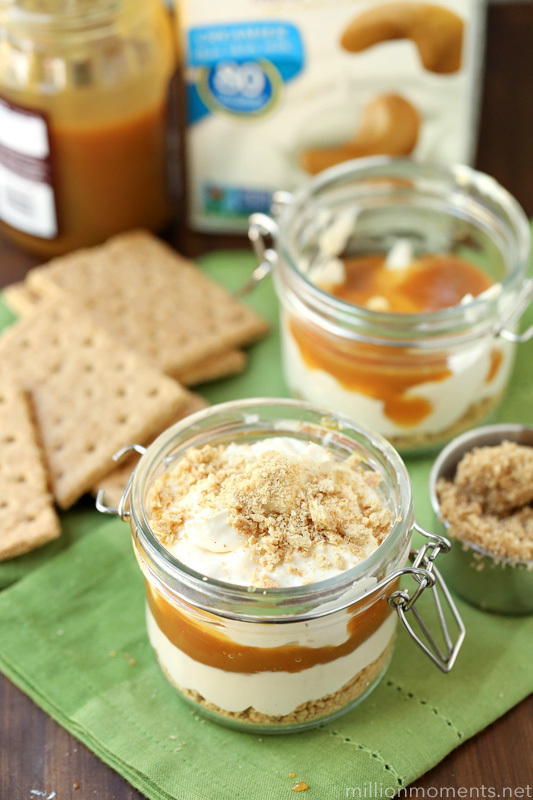 Since this recipe is for two jars you will obviously be pouring half into each one. Pour a layer of your cheesecake on top of that, making sure you leave room for two more layers. 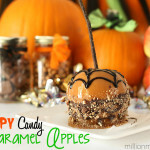 Now drizzle some of your caramel over top of that. How much you use depends completely on your preference, but I use just enough to cover the surface because I think the nutty vanilla cheesecake is the star of this dessert. Next you will add another layer of cheesecake, and then top with a sprinkling of crushed graham crackers. Guess what? You’re finished! You can chill it in the fridge if you like for around 15 minutes, but you don’t have to. 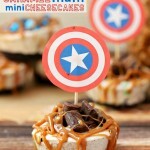 I think it tastes perfect either way, and isn’t it adorable? Want to mix it up a bit? Make a double chocolate layered cheesecake by using Chocolate Cashewmilk instead of vanilla and swapping out squeezable chocolate for caramel.